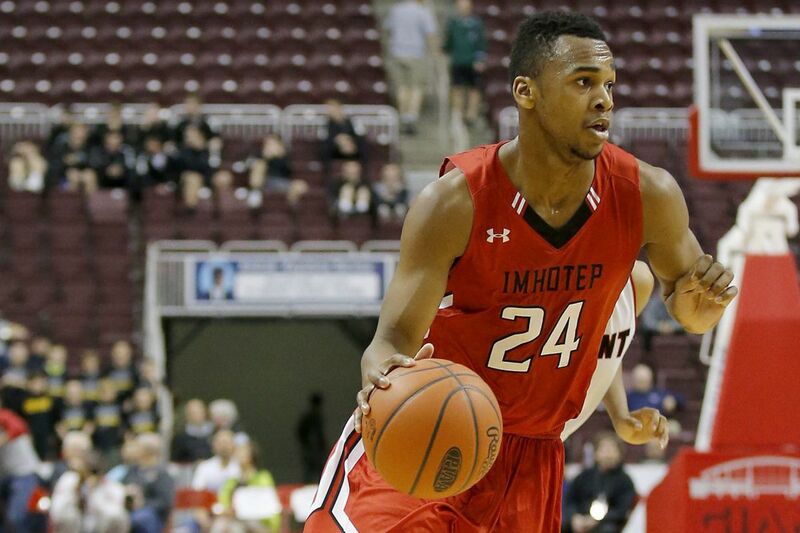 Imhotep Charter junior Donta Scott dribbles was voted the Public League’s most valuable player. Imhotep Charter’s Jamil Riggins (23). Aaron Harrison Junior West Phila. Sankofa’s Scott Spann (23) wrestles for a rebound against Lincoln.